Breast Cancer? But Doctor....I hate pink! : Lifetrak Fitness Watch - Contest! Lifetrak Fitness Watch - Contest! Hearing I was going to have to go back on a harsh chemo made me nervous. I'm not in good shape at all. When I started all this funny business years ago, I had the strength to manage it. Now, I wonder how much more I can do. During my period of remission, I did try to regain my health. I took the exercise class from Triumph Fitness and spent 3 months improving my balance, my strength, and my energy. (Put Triumph on your donation list, they do great work.) I purchased a smoothie blender from Amazon, got some powdered protein and yogurt and tried to get some calories in. ("Try" being the operative word.) I didn't quite get to healthy, but I did get to better. At some point though, this disease began crawling through my insides, making progress difficult. Now that I will be starting another chemo, my 8th, I feel a new urgency to get my wrecked body stronger. Chemo, my friends, is harder the longer you are on it. Those long-ago first six rounds seem like the healthy days gone by compared to what it is to start your 300th infusion. I know I need to take some walks, get some natural sunlight, and not let myself deteriorate too much. It's too easy to sit in a chair and turn on the TV, especially when one is in pain. They don't seem to make any new episodes of Hoarders anyway. Darn. When LifeTrak contacted me to ask if I would review one of their exercise watches, I was intrigued. The timing was perfect, how did they know? My first thought was "can I even wear a watch?" My wrist is only 5 inches around. Thoughtfully, their bands have holes to the very end, so I agreed to test it. It fit, and I have been wearing it ever since. True, it's not a beautiful chunky bracelet on me; it's a big honking piece of gadgetry that takes over my entire wrist and half my arm. While a large watch looks stylish on many women, not so much on me, and yet I like it so much I'm keeping it on. 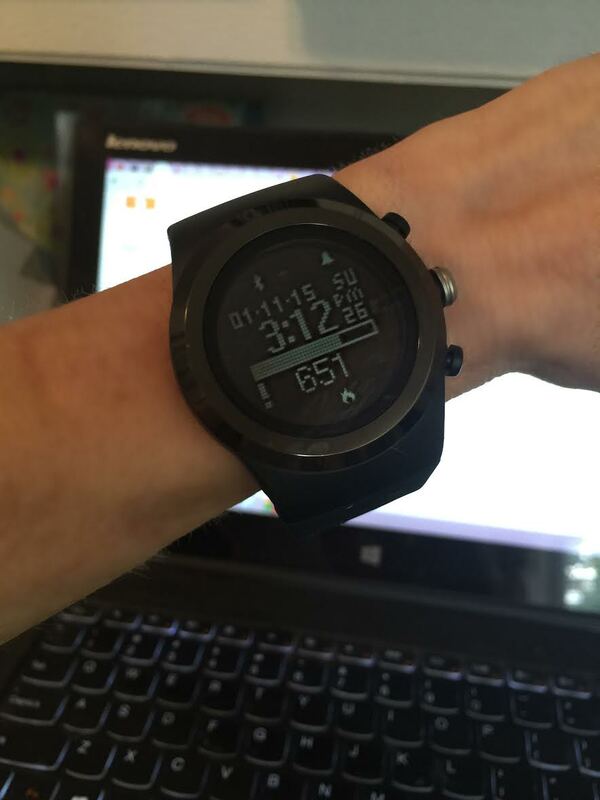 They let me select any watch I wanted, so after looking at them all, I selected one that would track the amount of light I get, the Fitness Tracker Brite 450. Why that one? Those of you with cancer have likely heard the idea that Vitamin D deficiency is being considered as a risk factor in various types of cancer, including breast. While that cat is out of the bag, having a fitness monitor that could track the amount of light I receive would be very helpful for me since I am lacking Vitamin D. Whether D affects cancer relapse is unknown, but it cannot hurt you to get Vitamin D naturally, and maybe in the future we'll discover that it could help prevent a recurrence. I have always been a bit of a light nut, owning a 10,000 Lux light box for energy and a sunrise light to help me wake. It's true that light affects other aspects of our health, including metabolism and mood. This watch not only tracks ambient light, it tracks blue light, which can interfere with your sleeping pattern. (This is why it's suggested you not do screen time before sleep.) So it jumped right out at me as being something I could use. Although I have a deep deficiency in Vitamin D levels and must supplement, I still think it's important to get natural light and allow it to synthesize on your skin. Interestingly, there is an increase in the number of children who are presenting with a lack of Vitamin D, likely due to overuse of sunscreen, poor diets, and sedentary lifestyles. There is no doubt that getting sunlight is a critical part of our health. Light aside, the watch also tracks your sleep, your heart rate, and your physical activity (expressed in calories). 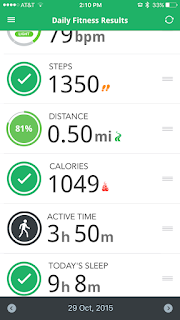 It is a step counter, of course, but you can set it for different activity levels. (Mine is set the lowest.) Tracking your heart-rate is as simple as a push of the button. It syncs easily to your phone (in my case, an iPhone) and gives you a nice layout of your data, and it works with the iPhone Health app. Awesomely, you also get phone notifications - telling you if there is a text message, somebody pins something of yours, a phone call - whatever notifications you have set just pops up on your watch screen. I set it up easily - like most watches, you do it with a combination of button pushes. It starts by asking your age, your weight, and then you set your goals. How many steps a day, how much morning and evening light you want to get, how much sleep, etc. It will alarm you and remind you through the day to do the things you suggested. Download the LifeTrak app for your phone, sync it and there you go. Well, hopefully, you will get better information than I do. By clicking on these you can go deeper into each screen to track progress, and you can see weekly and monthly data. When you look at the app, it gives you health tips. My very first one said I was more likely to die of heart disease than breast cancer. No kidding! That made me laugh. I love the intelligent wake up. You set the alarm for the time you want to wake up, and the period in which you want it to start. For example, I have mine set for 20 minutes before I actually want to wake up. Then the watch uses your own historical data and your movements to wake you up anytime starting within that 20 minute period. It tries to alert you when you are not in a deep sleep, which makes waking up so much easier. I haven't experienced any problems and I've been wearing it steadily for two weeks. The only negative is that it is very dim. The backlight doesn't brighten it enough. You really need to be in good lighting to see it well. But that little problem actually helps me with my goal - go outside! Get near a window! The only other problem was I told my oldest son I'd give it to him if I didn't need it after I'd had it long enough to review it. And now he doesn't get it. You can purchase the LifeTrak exercise watch at their store or on Amazon. I really didn't think I'd care for it as much as I do. 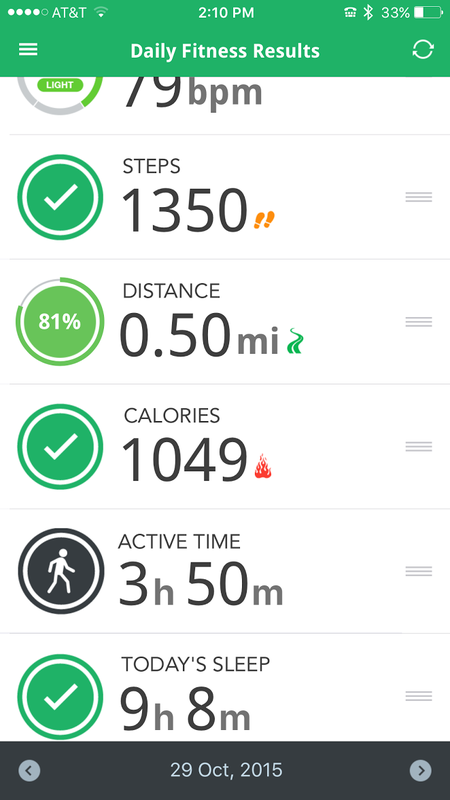 It does help keep track of our fitness levels and the light thing is crucial to me. I advise those who are recovering from cancer treatment come up with some sort of plan for the future. Most people are understandably afraid of relapse, and while it is a possibility, worrying about it before it happens takes away from living your life now. Many use cancer as a wake-up call for moving into a healthier lifestyle, and you can too. You know better than most how important health is, and how suddenly it can be taken. Once the intensity of treatment ends and you are easing yourself back into normality, a health plan is crucial, and I think a fitness monitor such as the LifeTrak watch can play an important role in keeping your goals in the forefront and seeing improvement. And, because I don't review items without being able to give one to you - one of my fabulous readers is going to win one! The holidays are coming, and this is a good way to help you or somebody in your family get a good start back to fitness or continue with fitness goals. The winner will be getting the exact model I have - the LifeTrack Brite 450 with a black band (grey inside). Good for both male or female. To enter, click and follow the instructions. I'm sorry, but this contest is only open to US residents. Im a former bodybuilder dx w/ non invasive Ductal Carcinoma (breast cancer). 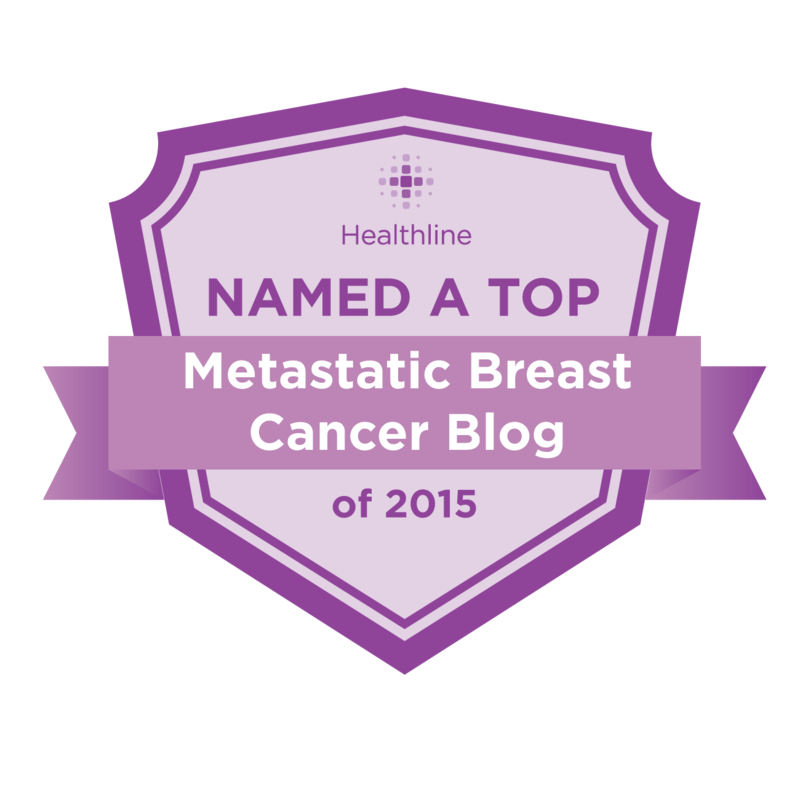 I had a lumpectomy, radiation chemo and now adjuvant therapy. It has been 10 months since I finished chemo. I am a psychotherapist and global mental health trainer and treatment provider of stress, anxiety, depression and panic. I live what I love and love what I do. But all that changed a year ago with my dx. I won my first bodybuilding competition in 2013 ans tried to do my next one in 2014 and then I was dx. My whole life changed. I lost a lot more than my best friend my body. I lost my mom, my dad and a lot of my lively hood. The thing I thought I knew best, my own body threw me a curve ball and I have not been able to find an new goal. I need support from a community that understands a fraction of what im going through. My oncologist once told me that cancer treatment is more difficult for very fit people than it is for people like me, who tended towards the couch potato side of life. It's harder to be exhausted and debilitated when you are so used to lots of energy and physical fitness. And, with cancer, having a body like yours, which you worked so hard to improve, has got to feel like a betrayal. I had an interest in bodybuilding for a time and while I never got very far, I felt the best I ever have. Had I continued on, I can imagine that it would have been an incredible loss to have gotten where you were and to then have a body change because of disease. There is so much for you to have lost - the way you managed your body, your health, the way you looked, your goals and dreams. I think you will recover, if you don't have mets. But people seem to think it happens quickly, and it doesn't. Getting back to normalcy after cancer is possible but takes years, not months. Ann, just curious, and you may have answered this in a previous blog, but do you think there would ever come a time when you wouldn't opt for further chemo/treatment? I have mentioned it, and yes, there may come a time when I decide enough is enough. I do understand where this disease will end for me, so my focus is on quality of life, while I'm trying to extend it, I won't do that at any cost. (Physical cost, not financial, you hear me insurance company?) At some point, if the quality isn't there anymore, I intend to call in hospice and do what I can to enjoy my final days and let nature take its course. I hope I know when that time is - the will to live is very strong in most of us and sometimes, it may not be as clear as we think it will be. So far, even with all the treatment and chemo, I felt like living my life was better than not. I still enjoy many things, my family, hobbies, writing this blog. Pain was controlled with medication for the most part, and the medication hasn't made me sleepy or dopey or any of the dwarves. :) But someday, those things may change. The pain is already becoming difficult to manage. It's futile to continue to torture a body when there is no hope for survival and nothing in your days that you enjoy. But I'm not there yet. I'm still happy and have things to look forward to. That's good news. I'm glad you're not there yet. and I would totally love to like you on FB but I'm not ready to blow the lid off of my whole anonymity thing with my family/friends just yet while getting my footing. I've been reading you for 3 years, your spirit is an inspiration to me. Just wanted to send my loves from Iran.